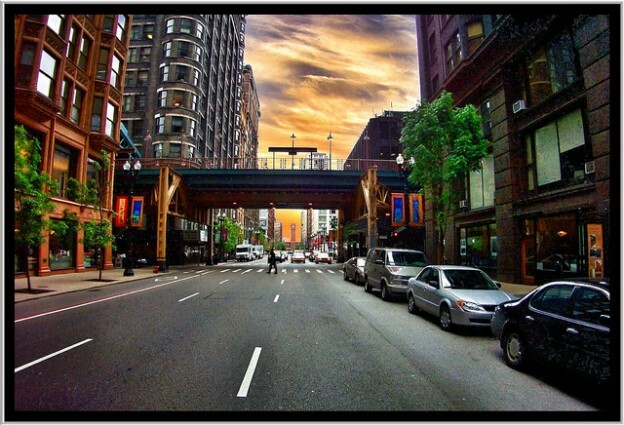 Good convenient street parking in Chicago can be a miracle when you’re able to find it, but did you know that Chicago’s street parking is a strictly regulated as any operation in the nation? Do you have a city sticker for the right zone? Are you willing to potentially need to come out in the middle of the night and renew your parking reservation with a machine? Before you decide that you want to take advantage of the parking that the city streets offer – ask yourself – wouldn’t using ParkJockey (www.parkjockey.com – available in the Apple and Android app stores) be easier and in most cases cost the same price or less? We offer hourly and monthly parking throughout the entire city. Our lots our commercial in nature and not subject to the city’s street parking regulations. Before you make your decision about where to park tonight – brush up on the following regulations and then take a look at a ParkJockey spot! Q. Will contesting or challenging my ticket really give me more time to pay? A. No. Contrary to popular belief, contesting or challenging a ticket will unlikely buy you more time. 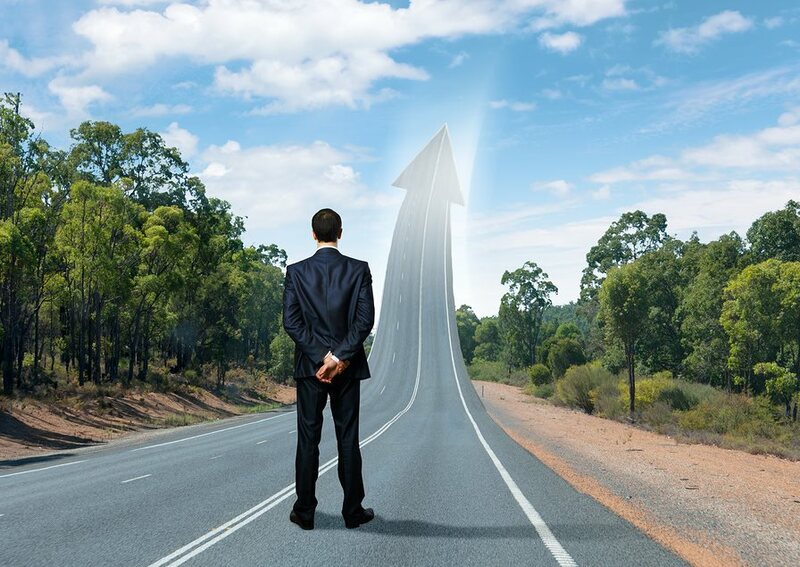 In fact, if you are found liable you may be billed more quickly. Should you need more time to pay a ticket, please take advantage of one of the City of Chicago’s available payment plans. Q. If I elect to contest my ticket by mail, what information should be included? A. Set forth facts that establish an allowable defense. Also sign any supporting evidence and indicate the ten-digit ticket number of the ticket you are contesting on each piece of evidence. Evidence includes but is not limited to: photographs, affidavits, your state vehicle registration, or official police vehicle theft and/or recovery reports. 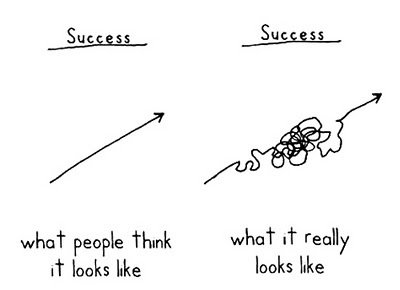 Make sure the documents are legible and complete. Send copies, not originals; evidence will not be returned. Q. My car is registered outside of Chicago. Am I still required to display a City Sticker on my car? A. Yes, as long as you are a resident of Chicago. Residents include all people who own or rent property in Chicago, regardless of whether or not Chicago is your primary home. New residents must obtain and display a City sticker in 30 days. Q. I do not own property in Chicago but instead rent an apartment. Am I still required to display a City Sticker on my car? A. Yes, renters must obtain and properly display a city sticker. Q. I’ve seen ticket-issuers taking photos of violations. What’s going on? A. Parking enforcement personnel may issue tickets using handheld computers that can also take supporting photos. Photos will serve as evidence to a violation. Motorists who receive a ticket that is supported by photographs may view them on this site. Q. Will the Administrative Law Officer listen to my side of the story? A. Yes, but you need to raise one of the allowable defenses. Administrative Law Officers are private attorneys contracted by the City of Chicago’s Department of Administrative Hearings. They are trained to hear parking ticket cases and must be fair and impartial. They must base their rulings on ordinances and not on personal feelings. Q. Why did I get a ticket when there was clearly no yellow line? A. The yellow line itself does not determine whether a parking space is legal or illegal. The yellow line is merely a warning to look around for a “no parking sign” or an indication that you can’t park there. Q. Can I get a ticket, even if I was illegally parked for a minute? A. You may be ticketed for parking illegally for any amount of time. The actual duration one is parked illegally is not a defense. Q. Can I be ticketed even if there was time on the meter? How is that possible? A. If you are parked at a two-hour meter, for example, you are not allowed to feed the meter after the two hours are over. You must move your car so that other motorists may park. Even if you put more quarters in the meter, if you have parked there over the stated limit, you can get a ticket. Q. Why did I get a ticket for a Street Cleaning Violation? There were no signs posted when I parked. A. The City must provide reasonable notice of street cleaning or other temporary no-parking restrictions. A hearing officer can determine whether or not a violation is proper. Q. I received multiple tickets for the same meter violation, how is that possible? A. Motorists can get multiple parking tickets for sitting at the same expired meter, so if you are parked at an expired one-hour meter for more than two hours, you can get two tickets. Q. What are the defenses for contesting parking tickets? The illegal vehicle condition was corrected prior to the hearing (Note: this defense does not apply to city sticker violations (§ 9-64-125), muffler or exhaust violations (§ 9-76-140(a)), missing plate violations (§ 9-76-160(a)), expired registration violations (§ 9-76-160(f)), and tinted window violations (§ 9-76-220)). Q. What are the defenses for contesting red-light tickets? The respondent was not the owner of the cited vehicle at the time of the violation. This entry was posted in Chicago, ParkJockey and tagged app, Chicago, chicago parking, chicago parking regulations, Driving, Frequently asked parking questions, parking, Parking app, parking in chicago, parking questions, parking tickets, parkjockey on January 22, 2015 by ParkJockey Team. At any given moment on any given day, there are countless cruise ships embarking on a once-in-a-lifetime voyage — all from the same port. If you’re lucky enough to be heading out on one of these floating paradises, there is one last thing you have to do before you can kick back on the lido deck and enjoy that first Piña Colada: Park! With so many ships leaving port at the same time there are thousands of people flocking everyday to a very concentrated area, making parking a significant incubus for travelers. 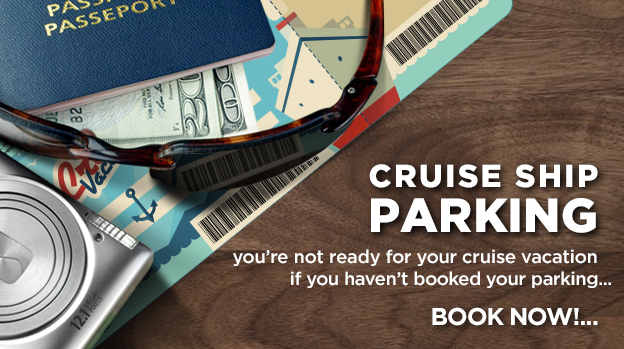 ParkJockey is here to ease these parking concerns by providing vacationers with a parking reservation technology system in four of the busiest cruise ports in America! 4. Reserve your parking spot! This entry was posted in Miami, New York, ParkJockey and tagged app, cruise parking, cruise reservations, Manhattan, manhattan cruise parking, manhattan cruise terminal, Miami, miami cruise parking, parking, parking reservations, parkjockey, port canaveral, port canaveral parking, port everglades, port everglades parking, port of miami, port of miami parking on January 13, 2015 by ParkJockey Team. Every year the beginning of December marks the time when everyone’s mind gears toward the holidays – but not in Miami. The city goes into an “Art Basel” frenzy. As one of the largest international art fairs, Art Basel Miami, attracts 75,000+ visitors throughout the week. The explosive influx of world-renowned artists, pop culture celebrities, public figures, and affluent scions creates a glitzy, “cannot-miss” hype around the seven day event. This year’s pop icon appearances include: Miley Cyrus, Patrick Schwarzenegger, Usher, Joe Jonas, Kim Kardashian, Usain Bolt, A$AP Rocky, and even Paris Hilton who deejayed at Wall Miami. Art Basel is the largest exhibition taking place at the Miami Beach Convention Center, however, the term is commonly used to describe the week long art fair, formally called Miami Art Week. The fair spans across Miami Beach, Midtown, the Design District, Wynwood, and beyond. 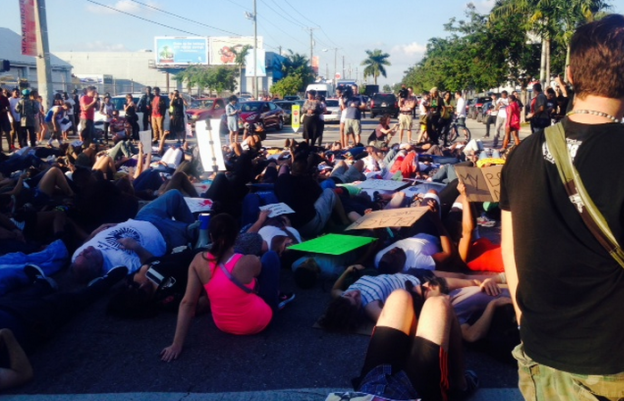 Just at the peak of Art Basel when the sidewalks were overflowing and road congestion was backed up for miles, a protest hit the streets which made driving a nightmare. But the ParkJockey Team would not be slowed, and assisted drivers to find the most accessible parking locations. Throughout the week ParkJockey taught visitors and locals alike how to master the art of parking during the chaos of it all. The ParkJockey team wasn’t content simply solving Basel’s parking problems and was caught in the artistic vibes flowing through the city. 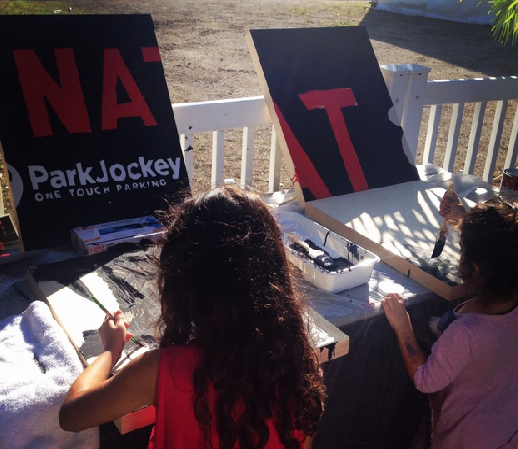 ParkJockey had an interactive Art Basel inspired painting activity in order to stimulate people’s inner artistic ability! Throughout the week ParkJockey customers and Art Basel visitors of all ages stopped to contribute to the Miami HEAT and ParkJockey mural. ParkJockey also handed out Miami HEAT t-shirts to those apart of the HEAT Nation family! At some point, a local artist got ahold of one of our t-shirts and turned it into his own artwork at a live demonstration in Wynwood! This entry was posted in Miami, ParkJockey and tagged app, art, art basel, art basel miami, art of parking, Driving, Miami, miami art week, Miami Beach, Miami Heat, midtown, painting, Paris Hilton, parking, parkjockey, Wynwood on December 11, 2014 by ParkJockey Team. As New York City gears up the holiday festivities, one of the oldest and most treasured holiday traditions is the yearly performance of the The Nutcracker Ballet. 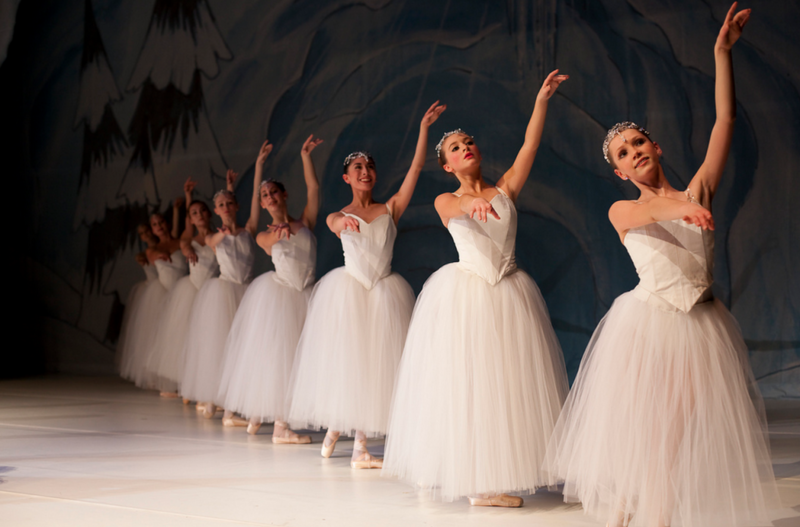 Be it young children in their first dance to the music of Tchaikovsky, or professional ballet companies practicing tirelessly to bring new energy to such a familiar classic, no holiday season is complete without seeing a performance of the ballet. Most are familiar with the story of the ballet: a girl receives a nutcracker for Christmas and gets drawn into a magical world of love and brave nutcrackers fighting the Mouse King. The story of the Nutcracker was originally based on E.T.A. Hoffmann’s tale, The Nutcracker and the Mouse King. Alexandre Dumas Père wrote an adaptation titled The Tale of the Nutcracker, and Marius Petipa simplified the adaption and choreographed it for the ballet with music set by Pyotr Ilyich Tchaikovsky. According to the Moscow Ballet, the director of Moscow’s Imperial Theatres, Ivan Vsevolozhsky, commissioned the ballet in 1891. In 1892, a week before Christmas, the ballet was premiered. According to the National Post, although Czar Alexander III thoroughly enjoying the ballet, the critics and audience found the choreography confusing. Despite the negative reviews, everyone loved the music, so the ballet toured the world using different choreographies. It first reached the United States in 1944, landing in San Fransisco. It wasn’t until George Balanchine choreographed the ballet for the New York City Ballet in 1954 that the Christmas Ballet as we know it began to unfold. From that point on, everyone followed Balanchine’s choreography and the ballet became a mainstay of Christmas and of New York City. Whether you are seeing your child’s first performance of the ballet at their school, or taking a trip to the Lincoln Center to see the New York City Ballet bring Balanchine’s and Tchaikovsky’s brilliance to life, remove the stress of parking and book with ParkJockey. We have locations throughout the Upper West Side, Midtown, and all throughout New York City. Wherever your travels take you, ParkJockey’s got you covered! Sign up now and use the promo code “BALLETS”, and new users will receive a $5 credit towards your next booking. But act quickly, just as Christmas will end, so will this promotion! This entry was posted in Chicago, Miami, New York, ParkJockey, PlumValet and tagged balanchine, ballet, choreography, christmas, Moscow, new york city, nutcracker, parking, parkjockey, tchaikovsky on December 8, 2014 by ParkJockey Team. With Thanksgiving and its festivities coming to a close this week, everyone is moving their attention to the coming holiday season. Throughout New York City, stores are putting up holiday window displays, soon Rockefeller Center will have its annual Christmas Tree lighting ceremony, and Bryant Park is opening its ice rink. But nothing really brings in the holiday spirit quite like the Radio City Christmas Spectacular, starring the Rockettes. 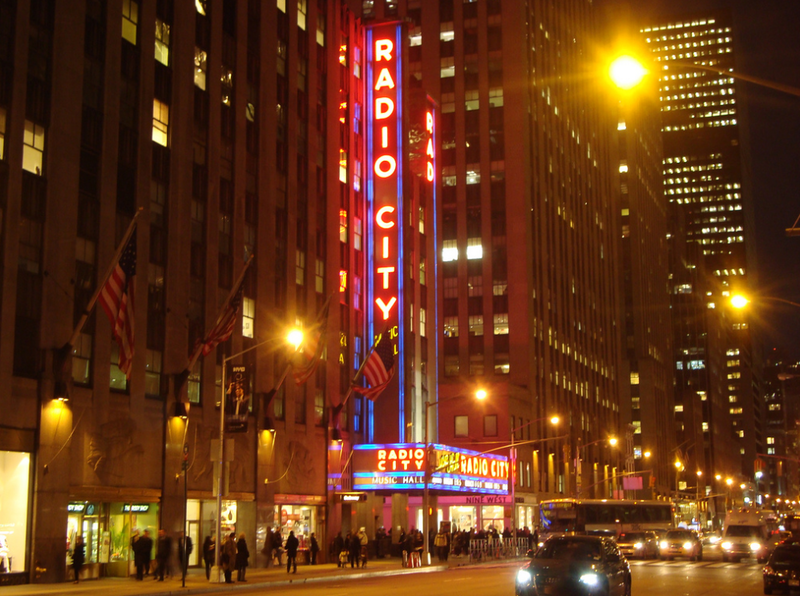 The Radio City Christmas Spectacular takes place in the beautiful Radio City Music Hall at 6th Avenue and 50th Street. The building was constructed in 1929 with funding support from John D. Rockefeller, Jr. and the Radio Corporation of America. After construction was completed, S.L. “Roxy” Rothafel was brought on as impresario of the Music Hall. Roxy developed a reputation as a theatrical genius by combining vaudeville, movies, and razzle-dazzle décor to revive struggling theaters in the wake of the stock market crash. The legend of the Rockettes began in 1925 with a group called the “Missouri Rockets”. They had been tapping and making high kicks since 1925 under the direction of Russell Markert. The Missouri Rockets were invited by Roxy Rothafel to perform at Radio City’s opening night on December 27th, 1932, using the name the “Roxyettes.” They were one of 17 diverse acts including the Flying Wallendas, Ray Bolger, and Martha Graham. Despite the competition, they were invited back the following year to headline and were renamed the “Rockettes.” In the 80 years since then, the Radio City Christmas Spectacular has become the #1 holiday production in America. It has toured 74 different cities outside of New York, such as Nashville, Chicago, Dallas, and St. Louis. However, its home will always be the Radio City Music Hall. So come into the city and see the show that truly celebrates the holiday season in style. Performances run throughout the month of December. And when you plan your trip to see this spectacular show, make sure to book with ParkJockey so you don’t find yourself missing everything because you can’t find parking. We have locations all over New York City, from Midtown, to the Upper East Side, to SoHo, and the financial district. Wherever your travels take you, ParkJockey’s got you covered. Book now using the promo code “ROCKETTES” and get a discount off your next booking. 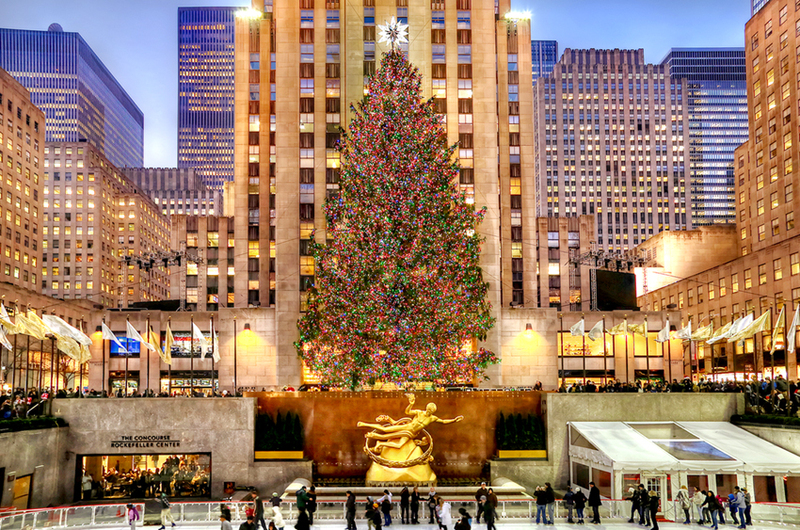 This entry was posted in Chicago, Miami, New York, ParkJockey, PlumValet and tagged christmas, city, dance, midtown, music, New York, parking, parkjockey, Radio, rockefeller, rockettes, Rothafel, spectacular on November 26, 2014 by ParkJockey Team. There is some disagreement as to the origin of the term, “Black Friday.” The term was most likely first coined in the 1960s by police officers in Philadelphia to describe the mess associated with congested streets filled with heavy pedestrian and vehicle traffic. According to Ben Zimmer’s article “The Origins of ‘Black Friday,’” Philadelphia merchants initially detested the label because of its association with the stock market crisis of 1869. Merchants were worried that customers would have been scared off by the ominous title, preferring to call it “Big Friday.” However, the name “Black Friday” also had another meaning, and that is referring to stores moving from the “red” to the “black.” When accounting records were kept by hand, red indicated a loss, and black indicated a profit. So, despite objections, because of the alternate association, and continued use of the term by the press, the name remained. In recent years, it has developed more of a negative connotation, with people aggressively waiting hours in lines to be the first to get the specials. But that does not change the fact that everyone agrees Black Friday is the best time to get your Christmas shopping done. You get the best deals you will be able to find all year, and you have all day to visit the stores and find the deals right for you. 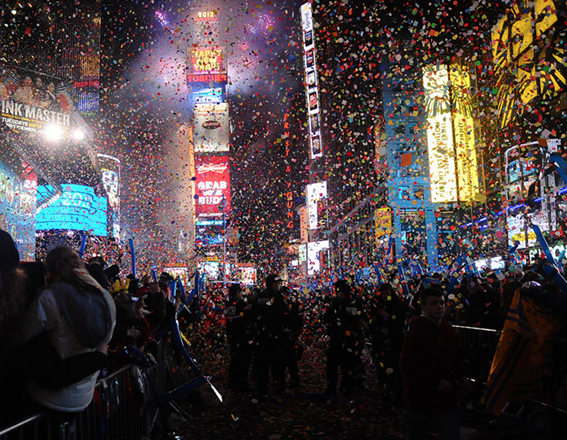 So brave the crowds and make sure you get out and grab some special deals! But don’t get stuck in the traffic with no place to park! Book with ParkJockey now and reserve a spot close to your favorite shopping locations, be it in SoHo, Midtown, along 5th Avenue, or anywhere in the New York City area. And, of course, be safe this “Black Friday” and happy shopping! Book now using the promo code “FRIDAYDEAL” and, in the spirit of Black Friday, get a great discount on your next booking! 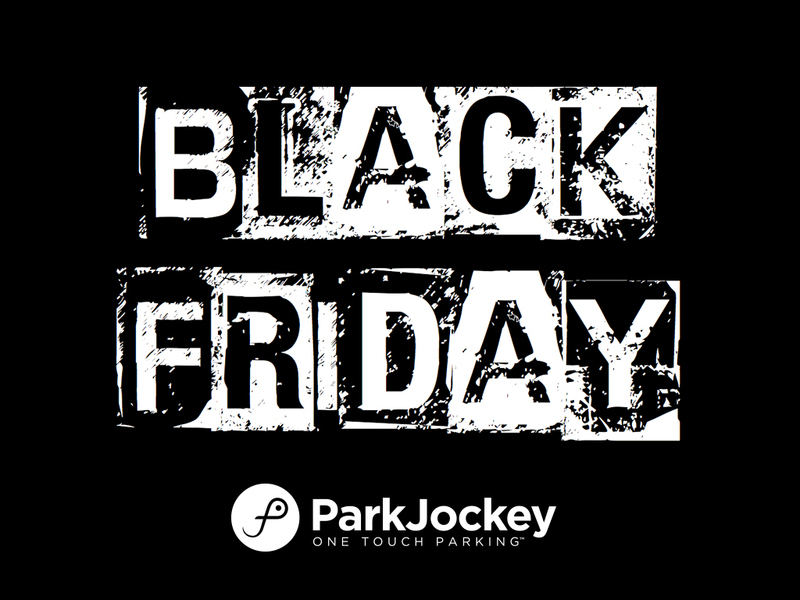 This entry was posted in Chicago, Miami, New York, ParkJockey, PlumValet and tagged 5th, black, black friday, christmas, deal, friday, midtown, NYC, parking, parkjockey, shop, shopping, Thanksgiving on November 21, 2014 by ParkJockey Team. 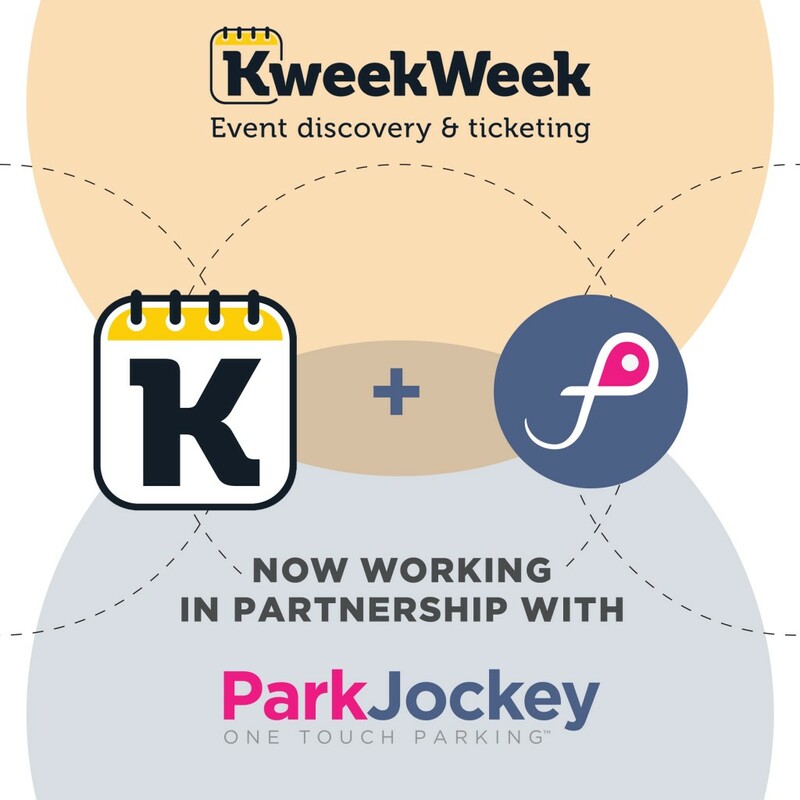 ParkJockey is proud to announce it’s new working partnership with KweekWeek. KweekWeek is a holistic events platform (Mobile App & Website) that connects event organisers and consumers in a single space comprising of promotion, ticketing, updates and recommendations for a variety of events in London. Next time you are looking for something fun to do, use KweekWeek & enjoy £5 off KweekWeek’s redeemable events by entering the code: KWEEKPARKING. Register now at www.kweekweek.com or download the app! The partnership will also allow users and followers of KweekWeek to enjoy £5 parking credit into their ParkJockey account – providing people with hassle-free parking for any occasion! This entry was posted in London, News, ParkJockey and tagged Events, KweekWeek, London, parking, UK on November 17, 2014 by ParkJockey Team.